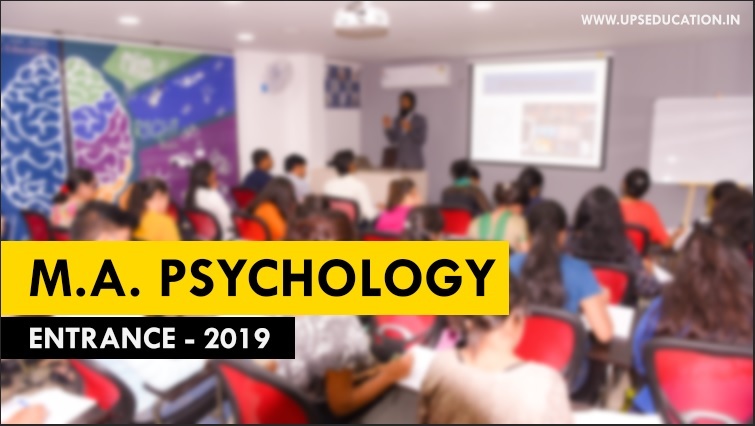 Dear Aspirants, Psychology is a growing career option in India, demand of psychologists and counselors is increasing day by day in several sectors like; in Schools, Collages, Hospitals and other private sectors. Masters in Psychology is a minimum eligibility criteria for those who want to continue their study or practice as a counselor or psychologist. Therefore, the role of your master degree in Psychology is very important. 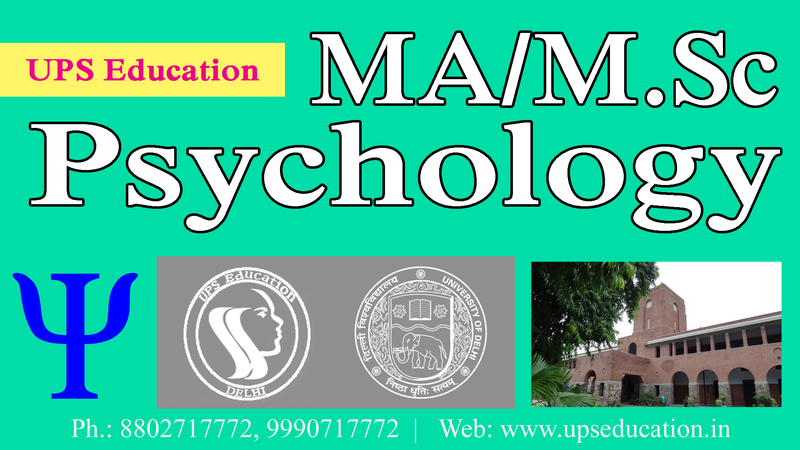 Now it is important to take admission in better colleges for your MA/M.Sc Psychology course. 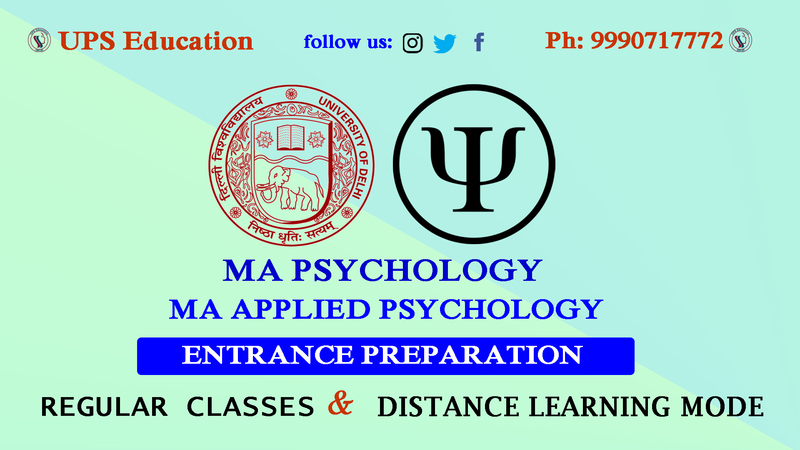 Delhi University (DU), Jamia Millia Islamia (JMI) and BHU are one of the best universities in India for MA Psychology course. 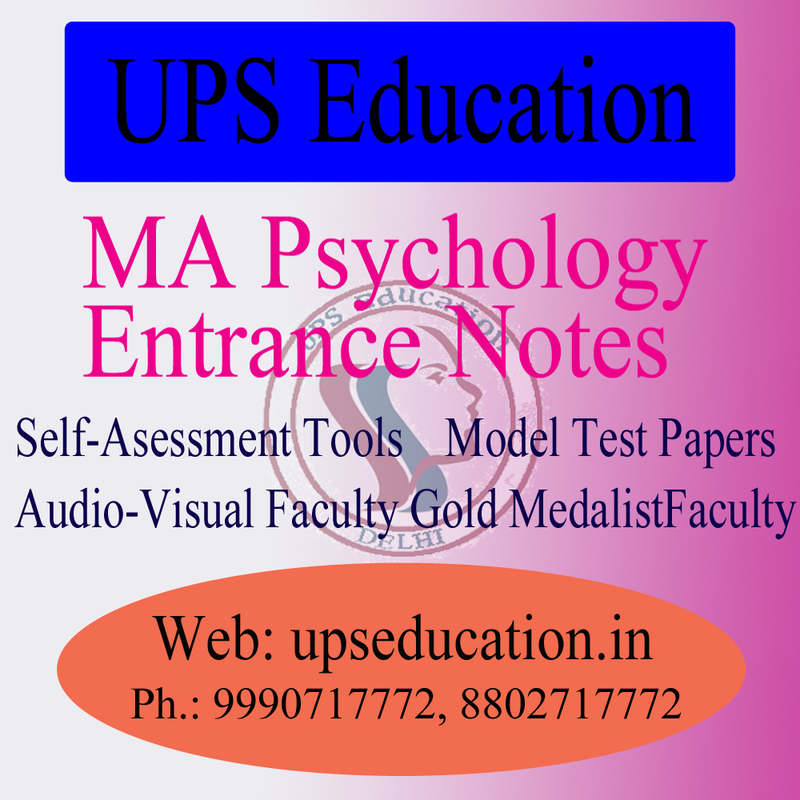 Students need to crack Entrance Exam to get admission in university for MA/M.Sc Psychology Course. 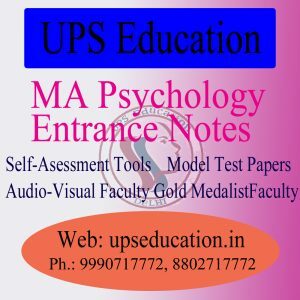 UPS Education is India’s No.1 Psychology Coaching Institute because of experienced, Gold Medalist faculty, and our attractive results shows why we are no. 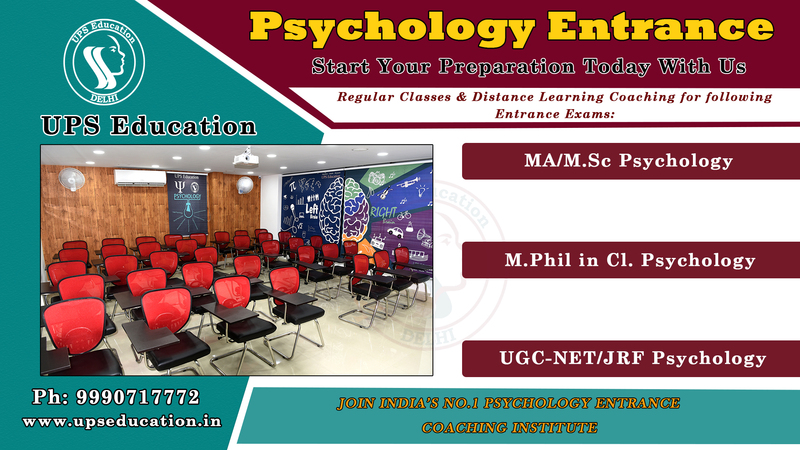 1 Psychology coaching institute. Contact us if you want any help our guidance for your MA/M.Sc Psychology Entrance Exams. Visit our website for regular updates for Entrance Examinations. 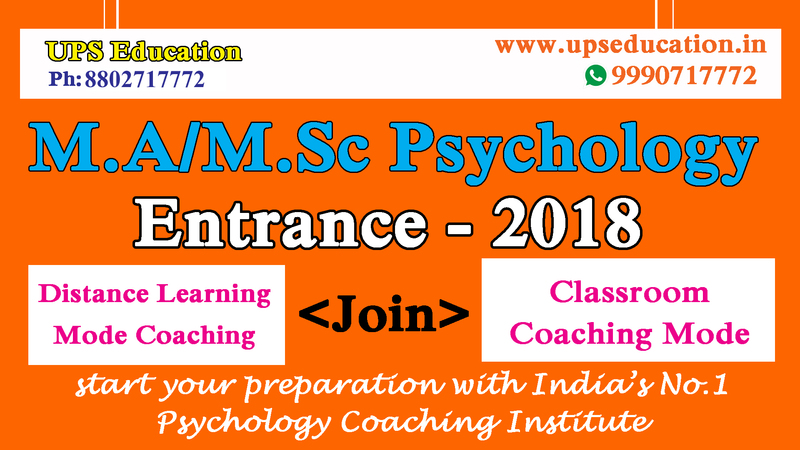 This entry was posted in psychology coaching class and tagged delhi university ma psychology, jmi ma psychology entrance 2018, MA Psychology Entrance on May 1, 2018 by UPS Education. 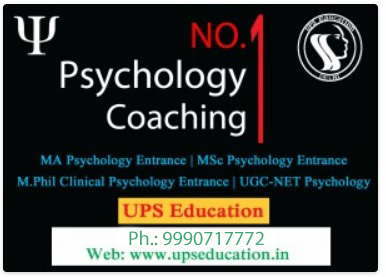 UPS Education is India’s No.1 Coaching Institute for Psychology Entrance Examination; we are going to start our new batch for MA Psychology Entrance preparation. Join our new batch and increase you chance. 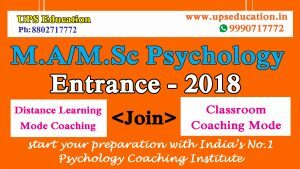 This entry was posted in MA Psychology Coaching and tagged BHU Psychology Entrance, DU Psychology entrance, JMI Psychology Entrance, ma pscyhology entrance coaching, MA Psychology Entrance, Psychology Entrance on July 17, 2017 by UPS Education.